Not dye my hair for at LEAST 6 months!! I hope everyone had a wonderful Christmas and New Year! I was working for most of it, and I’ve recently started a second job to seriously start saving for Brazil! I don’t know when I’m going to sleep let alone update this blog! I have filmed a few videos over Christmas which I will upload over the coming weeks. If I live by this mantra everything will be fine! Now onto the blog post!! I’ve scoured YouTube and found it quite hard to find a simple video showing how to remove micro-loop extensions. They’re plenty describing how to install, but very few show the opposite. 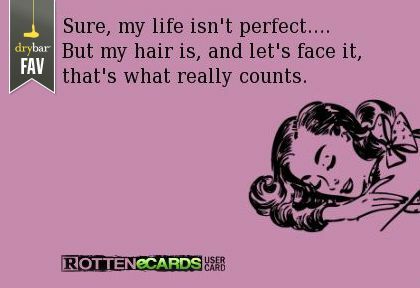 I thought before I install my new weave (yes, I am getting a weave again after bemoaning it last time!!) it would be worth filming a quick tutorial! What are your New Years Resolutions for 2014? There are so many different types of hair extensions, it can be quite difficult deciding on which ones to get (believe me I have spent half my life researching different methods and types of hair extensions!!). Below I have listed hair extensions I’ve tried and tested (although bear in mind I am by no means a hair extension expert! 1. Weave (Woven) Hair extensions A weave uses either weft hair extensions or full/half head hair pieces sewn onto tracks created on your scalp. Tracks are very, very tight braids sewn as close to your scalp as possible. This method is often favored by those who have Afro-Caribbean hair, or very thick, coarse hair – adding hair wefts can create a natural, more manageable, sleek look. I decided to get a weave after growing tired of clip-in hair extensions; I wanted a more permanent solution. REVIEW: I’m not going to beat around the bush here. I ABSOLUTELY HATED, HATED (once more for luck) HATED having a weave in!!! I am extremely grateful that I had mine installed for free (bar the hair) as my good friend’s Mum did it for me. However my hair is not Afro-Caribbean but South American (as this is my heritage) and was not coarse enough to hold the sewn in wefts. I could feel the plaits around my had slipping whenever I brushed my hair. Secondly the hair extensions I used were awful quality. NEVER EVER EVER use Asian/Chinese hair. As it is not as naturally thick as Indian/Remy/Brazillian hair it has been stripped, chemically bleached and god knows what else done to it to appear to be good quality. It also sheds very quickly and doesn’t blend too nicely. The weave itself was itchy, painful and just felt greasy. no matter how much I washed it, or sprayed the roots and plaits with leave in conditioner I couldn’t get away from the awful greasy feeling underneath my hair. Removing them was a nightmare, and it took about 3 weeks for my hair to regain its natural pre-weave state. I used so many hair masks to get rid of the build up. However, I have heard so many great things about woven hair extensions from many people, so maybe I was just unlucky?! I’ve had my micro-loop extensions installed for almost 4 weeks now. Without a doubt I can say the greatest extensions I’ve ever had!! They are completely painless, manageable and look so natural; half of my friends didn’t even realise I had extensions in! The only downside with micro-loop extensions is the cost … however I truly lucked out with mine. As I am deep into my student overdraft with a part-time job I couldn’t spend £500 on hair! Instead I scoured the Yellow Pages, the internet and local hairdressers to find the best price. I came across a mobile hairdresser on Gumtree.com who installed the extensions for only £130 and lived 10 minutes away from me. Bargain! I turned up at her door for a colour match and to place a deposit (this secures the hair for my installation) and the next day turned up to have them installed. I thought this would be a long laborious process, however it only took an 1 1/2 to be installed. The difference was amazing; volume and length! The hair was Grade AAA (although I’ve read on the internet grade’s aren’t really relevant with hair more whether the extensions are human/remy etc) Human Remy Indian hair. I was very adamant when researching to ask all mobile hairdressers the type of hair being used. I’ve been able to wash and dry my hair as normal and I hope my natural hair grows underneath. This is the best method on the market as there is no glue, no heat and braiding involved which means your natural hair can grow alongside the extensions. The hair can last up to 6 – 12 months (with 6-12 weeks maintenance throughout this time period) if taken good care of. Excellent value for money!! My extensions were 22″ long and were a mixture both a golden brown and blonde colours. Average Price: Anywhere between £130-1,000+! Rating: 10/10Below is a picture of my hair before (so short; horrific!!) and a picture before and after extensions. Whilst I was brunette, I was saving up to buy a clip-in hair piece from Sleep-in rollers. On of my favourite YouTube vloggers, the gorgeous Hollie Wakeham has a tutorial video on the clip-in piece I was going to buy, I would highly recommend it from reading reviews online! Personally I’ve had no experience with glue extensions. I was very close to having them installed however I have heard so many horror stories!! Hairdressers have told me that the only horror stories they hear are when people try to remove them themselves, but obviously they are trying to get you to part with your money so will avoid the horror stories! I think there are so many better and safer options around its not worth getting glue extensions installed!